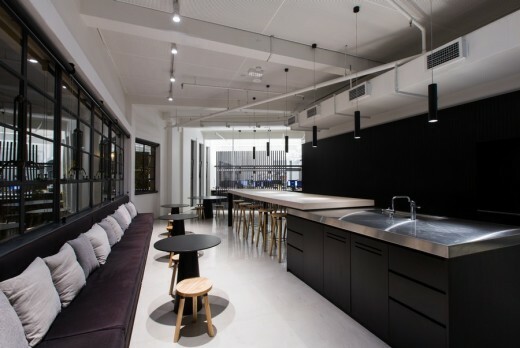 And so it was when award winning lighting consultancy PointOfView was briefed by architects Bates Smart to light their new Sydney Studio located in a 1940’s built, art deco designed, former offices of the 20th Century Fox Film Corporation. It was a brief of epic proportions. The idea was to enhance the clean, timeless and restrained architecture while simultaneously creating a comfortable and stimulating environment in which to conduct business. Oh yes, and adhering to a project budget and agreed time line. The original building located at 80 Commonwealth Street, Surry Hills, Sydney, was, in its glory days, a hub of glamorous film activity and a spectacular example of the art deco kind. Unfortunately, like so many of the screen idols that had helped make 20th Century Fox famous, the building itself, had in more recent times, fallen on hard times. While the exterior retained a stellar image, the interior was cramped an economically unviable. Over the years various attempts were made to rejuvenate its fortunes. However little progress was made until architects Fox Johnston began to restore some of its former glory during a nine-year involvement. Exciting new commercial and creative potential was subsequently brought to life by Barton and McCarthur, in conjunction with Don Cameron and Fearns Studio when the interior labyrinth of film vaults, offices, screening rooms and storage cupboards was transformed into the open and inviting space it is today. PointOfView would later collaborate with Don Cameron on their groundbreaking work for hotelhotel in Canberra. 80 Commonwealth Street soon became the must have address for a Japanese Bicycle Shop, an intimate bar, a bustling food emporium, a floral designer and a Golden Age Cinema. Enter Bates Smart Architects and PointOfView. With the ultimate goal of a comfortable and stimulating environment foremost in their minds the designers at PointOfView set to work. 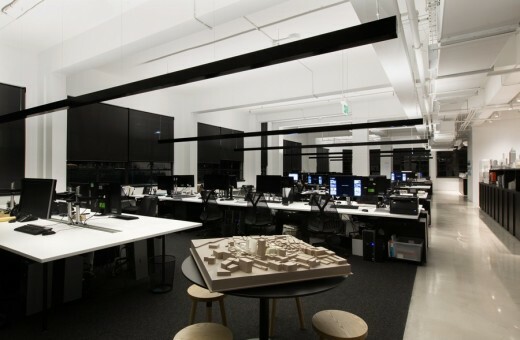 As the majority of their client’s tasks were screen based, lower than recommended indirect light was used in the work spaces, however a perception of brightness was achieved by lighting the ceilings and walls. 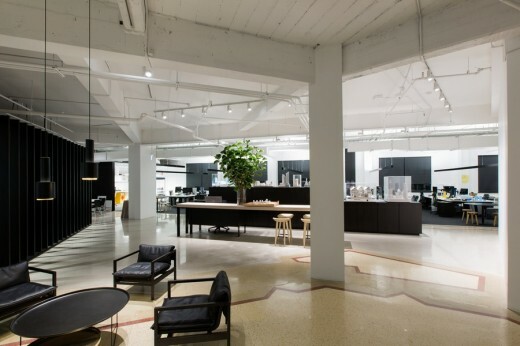 Suspended, black linear fluorescent uplighting profiles provided a sense of rhythm throughout the open spaces and offset the white painted exposed beams and services. 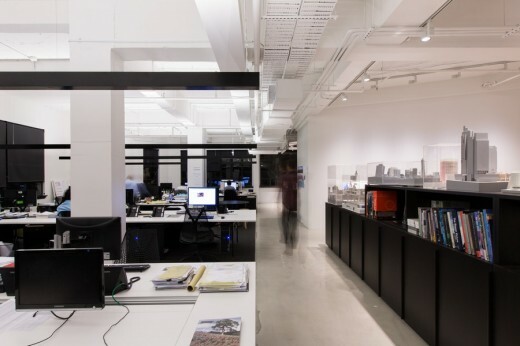 The reduced light levels in the workspace areas focused staff’s attention on the collaborative nature of the interior design that was then accented by another layer of lighting on tracks. 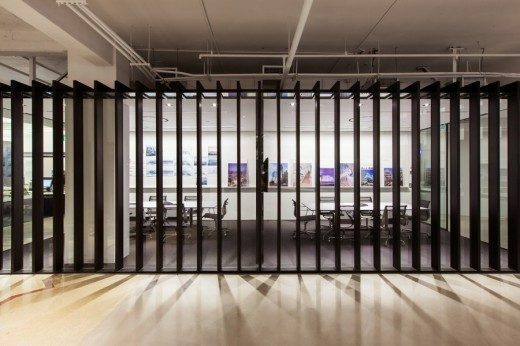 The highlight also pinpoints the architectural features of the studio and establishes more inviting activity zones such as reception and break out workspaces. A layer of decorative lighting was applied to several areas to create a visual anchorage. The main meeting rooms on the ground floor have a trimless, recessed ring to provide general lighting while spotlighting through the feature screen projects shards onto the reception floor with an inviting affect. 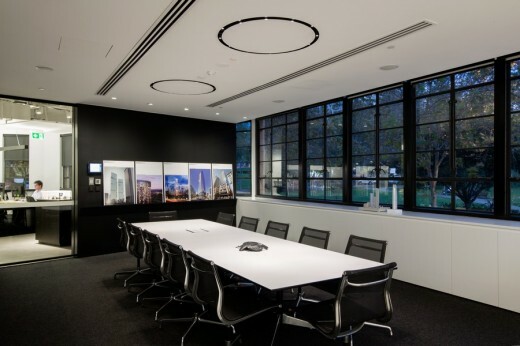 Other meeting zones are indentified by large, glowing discs that contrast with the linear fittings over the work spaces. Finally, as with many PointOfView projects, there was a significant element of customization. 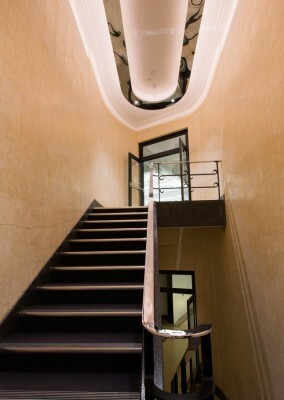 The staircase for example, was fitted with a highly polished, chrome oval ceiling feature that highlights the materiality of the original handrail, uplights the ceiling and creates an open space with a sense of height and volume whilst reflecting the movement and activity in the stairwell. These custom elements, in this case designed to reflect the building art deco heritage, are what help make POV projects original gems. The 20th Century Fox Film Corporation would be proud. Bates Smart was very happy too! 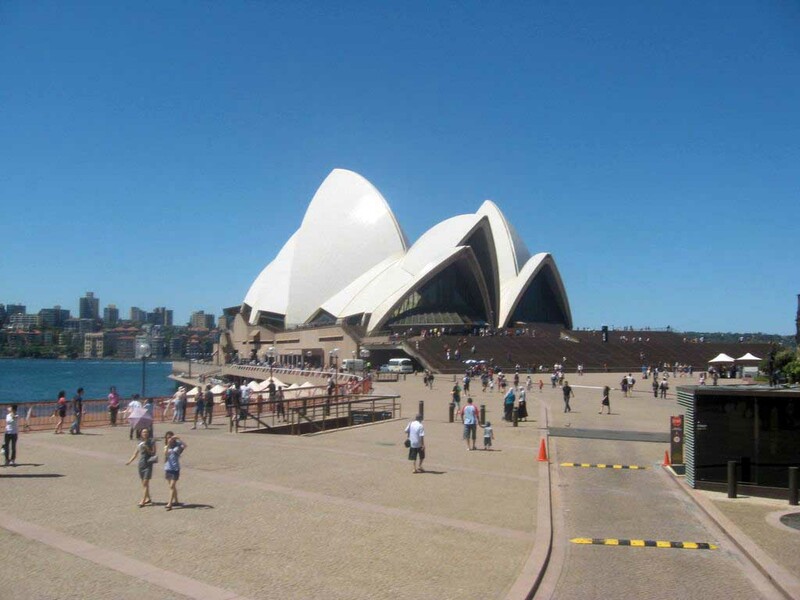 PointOfView has offices in Sydney and Melbourne and is the recipient of many international awards for extraordinary lighting solutions.